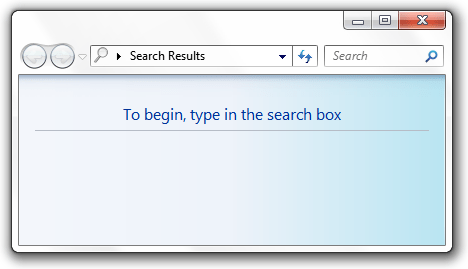 Windows 7’s search function is “beefed” up a little. This guide will help you use the Windows 7 function but only scratches the surface. If you have other tips, please let us know in the comments. Put simply, press F3 in most programs (that have a search function) and you’ll be taken to the search function. kind: This will filter by the kind of file i.e. Calendar, Document etc. datetaken: Do you want to find photos you took on your last trip? 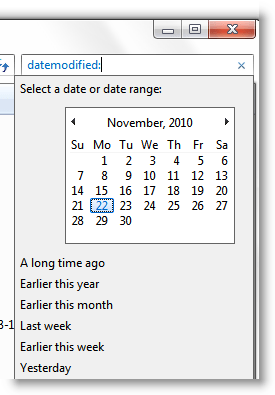 Use the datetaken keyword to find photos taken on the day of the trip. These are four I’ve used, which filters am I missing? Let us know in the comments. [You’re too late] Unique Giveaway: Get one of two programs for Free ! n BTW is it any trick of searching Registry by date?? What you forgot to mention is that “Search Indexer” needs to be running. It doesn’t need to be running but it sure helps when you want fast results. Thanks.